Thailand police said on Sunday that they have charged a foreign man holding a Turkish passport in connection with last week’s deadly Bangkok bombing. Identified as 28-year-old Turkish national Adem Karadag from passport photo pages displayed by the Royal Thai Police, the man was detained after police and military personnel swooped on an apartment complex in the outer eastern Bangkok district of Nong Chok on Saturday morning. Thai police allege they found bomb-making materials in the apartment, including ball bearings of the same size used in the deadly Erawan Shrine blast on August 17 which killed 20 and hospitalised more than 130 other people. 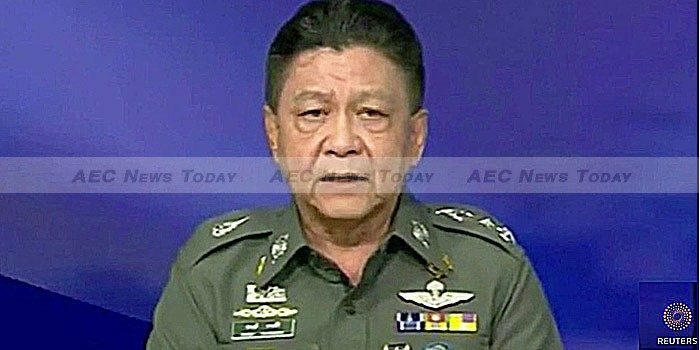 Royal Thai Police spokesman Lieutenant-General Prawut Thavornsiri (seen in the video above) said police also found short-cut pieces of galvanised pipe which had a thread cut at each end so as to accept end-caps, as is typically used in the construction of pipe bombs. A large quantity of forged Turkish passports was also allegedly found in the man’s room. It is understood the Embassy of the Republic of Turkey in Bangkok has been involved in the man’s questioning in an attempt to ascertain a positive identification. Under the current junta government rules the man has been handed over to and is being detained by the Royal Thai Army (RTA).